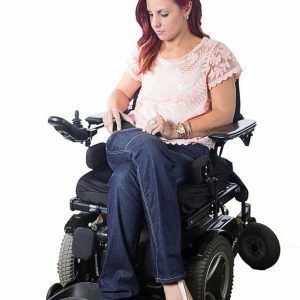 My name is Alicia Searcy and I was born with Cerebral Palsy, so I’m wheelchair or walker-dependent. Some of you may know me as the Spashionista, Nashville’s only disabled fashion blogger. 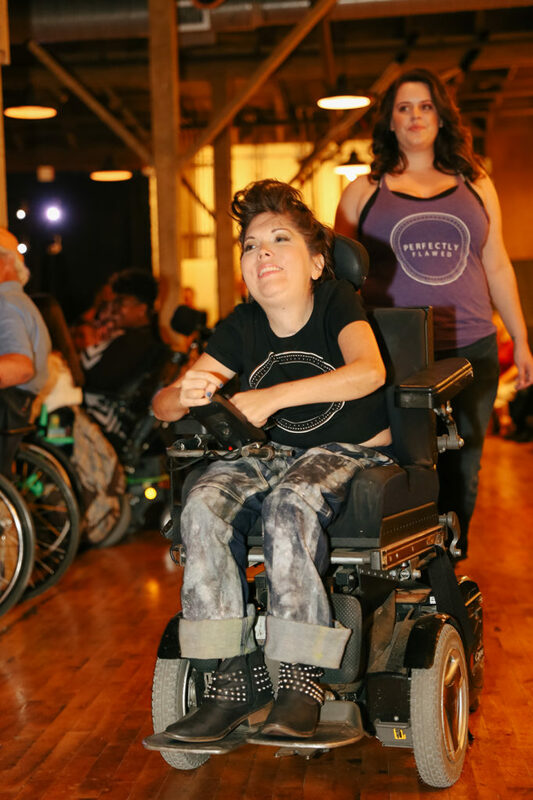 Or the creator of Fashion is for Every Body, a non-profit organization that includes Nashville’s only inclusive fashion show featuring adult models of all ages, sizes and abilities. First and foremost, I love fashion and style. It’s my job to convince people they should love it, too. Here are three reasons why it’s in your best interest to be fashionable. “Nobody even looks at me. 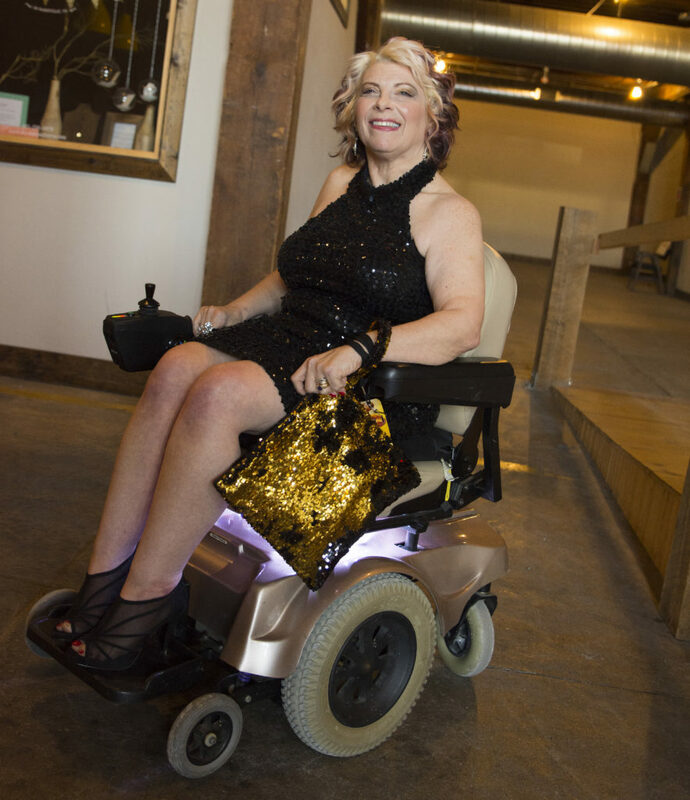 Why should I bother to dress up?” I hear this over and over, not just from people with disabilities but from plus-sized and people over 40 – in fact, almost anyone that feels they are not seen as being part of the norm. Just because you have a physical disability doesn’t mean you’ve suddenly become invisible to everyone around you. Quite the contrary; people are looking at you. 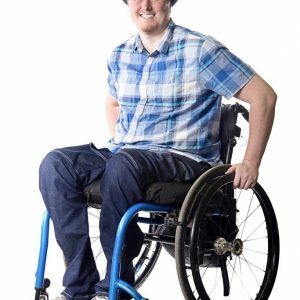 You may think that people are either ogling or overlooking you entirely because of your disability, but you’re getting plenty of side-eye and covert glances from people who don’t want to be rude or offensive. They’re just checking you out, and maybe your wheelchair is what initially catches their eye. Shouldn’t your sense of fashion be what keeps them looking long enough to get to know you? And self-respect is therapeutic. If you have a disability or extended health issue it can be easy to get mired in the day-to- day burden of doctor visits, physical therapy, and just living your life with limitations. It’s tempting to give up and “let yourself go” if for no other reason than to save the time and trouble it takes to look put-together. But making the effort the best of your ability to wear clothing that fits and flatters (which is completely possible) boosts your self-esteem and shows the world that you care about yourself. There is a direct correlation between self-respect and how others treat you as a result. If you look like you don’t care about yourself it’s unreasonable to expect others to think otherwise. If you don’t care about yourself you should know I felt that way for many years. Please, reconsider and try a little fashion therapy. It really has transformative, therapeutic powers. Fashion is the best way to show the world who you are. Famous luxury jeweler Harry Winston once said, “People will stare. Make it worth their while.” I live by this quote. Fashion isn’t about owning the latest trends or the most expensive labels. It’s about finding your style, your voice, your vibe from day to day. You don’t need to resort to a uniform – and you definitely need to be mindful you don’t “overexpress” to the point of being costumey – beyond that you are a blank canvas and fashion is your palette. Stylist Rachel Zoe proclaims, “Style is a way to say who you are without having to speak.” It’s also an adventurous journey to select a wardrobe that is a perfect fit, both literally and metaphorically. My journey has taken me from baggy, saggy clothes to Fashion and Style Blogger to Nashville Fashion Week to Runway Model, Producer and Executive Director of Fashion is for Every Body. I am proud to say that ALTER UR EGO jeans were featured on the runway at last year’s show. Let me help you take your own journey towards being fashionable. I’ll be blogging on a bi-monthly basis here at ALTER UR EGO and I’d love to hear from you! Send your comments or questions to Spashionista@gmail.com and I’ll do my best to address them. Wheelchair Traveling Up Up and Away	Surf’s Up!